Enter your email address to receive updates by email. 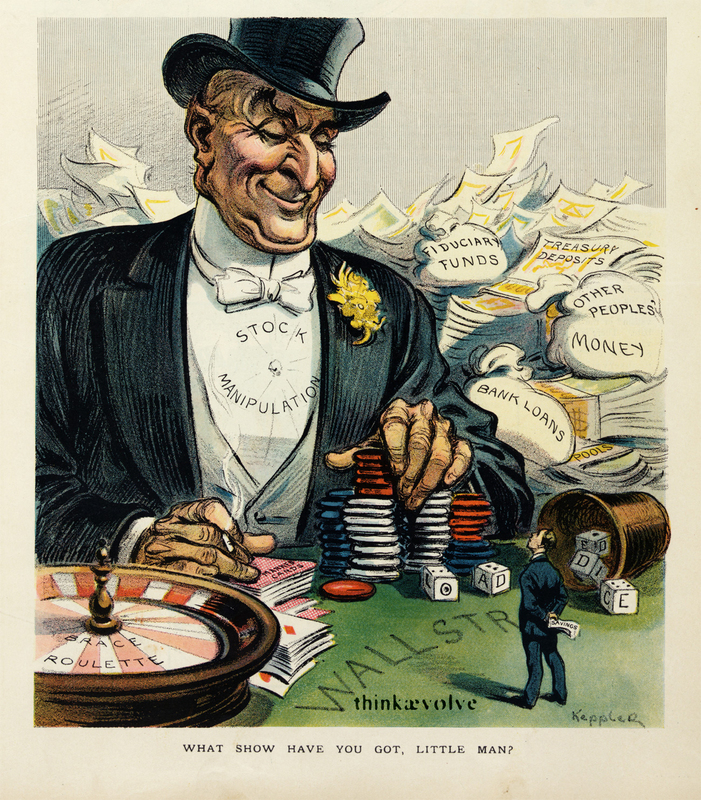 . .
Summary: Illustration shows a man wearing top hat and tuxedo labeled “Stock Manipulation”, one hand resting on a deck of “Marked Cards” and the other on a stack of gambling chips next to “Loaded Dice” and a wheel labeled “Brace Roulette”, all on a playing table labeled “Wall Str[eet]”, behind him are money bags and papers labeled “Fiduciary Funds, Treasury Deposits, Other Peoples’ Money, Bank Loans, [and] Pools”; standing in the foreground and looking up at the man is a diminutive man holding his “Savings” behind his back. Summary: Illustration shows Nelson Aldrich as king of the “U.S. 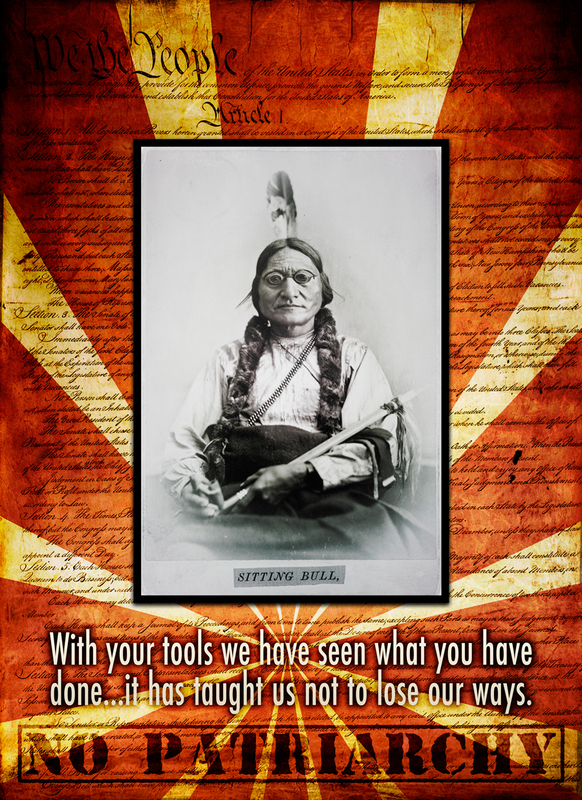 Senate” sitting on a throne with a diminutive Theodore Roosevelt kneeling before him bearing the “President’s Message”, around them senators are reading ticker tape or enjoying the success of their investments. The surrounding vignettes show Chauncey M. Depew as a doorman welcoming a man labeled “The Trusts” into the “U.S. 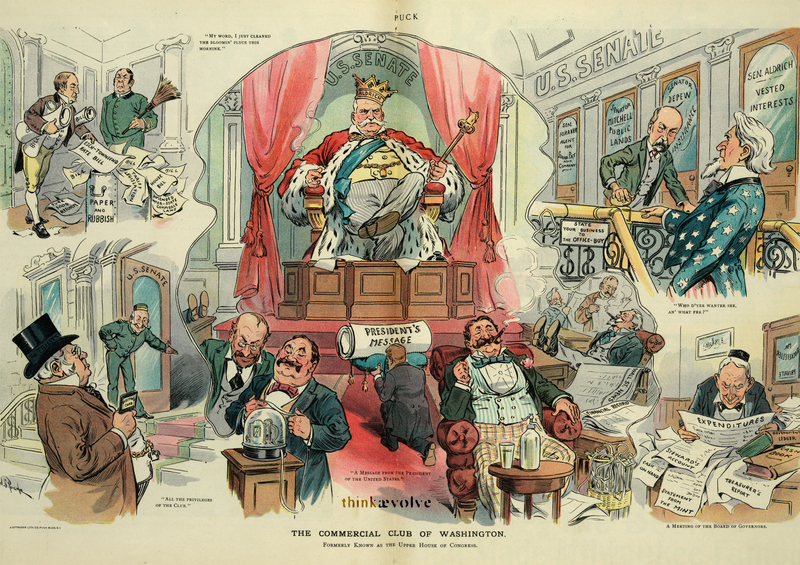 Senate”, John D. Rockefeller sitting at a desk pouring over “Reports” and “Expenditures”, Charles W. Fairbanks as an office boy stopping Uncle Sam at the top of the stairs demanding who he needs to see and why, and two men stuffing papers labeled “Esch-Townsend Rate Bill, Tariff Legislation, House Bill” and others into a trash can. Caption: Formerly known as the Upper House of Congress. Caption: We shall see the day when Uncle Sam will kick the obstructionist out of the jury-box. 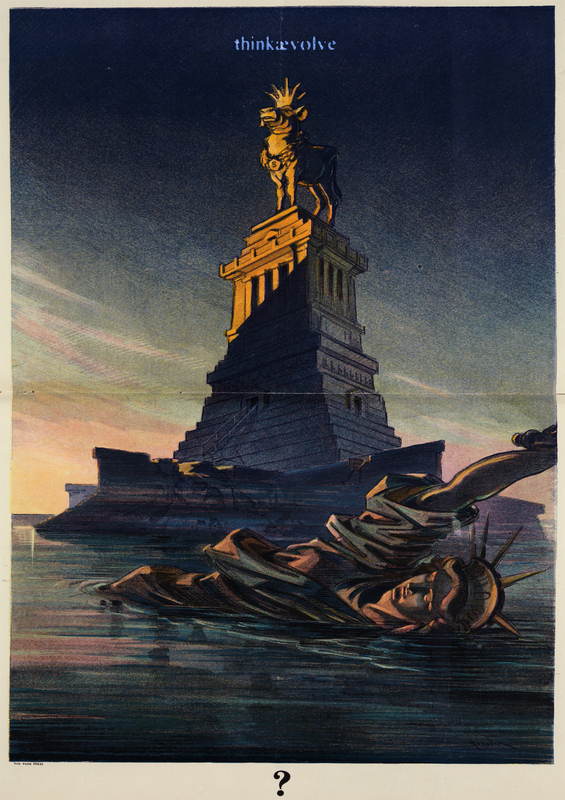 Summary: Illustration shows the Statue of Liberty knocked from its pedestal and lying in the harbor; it has been replaced by a golden cow wearing a crown and a necklace emblazoned with a “$”. The illustration is captioned with a large question mark. 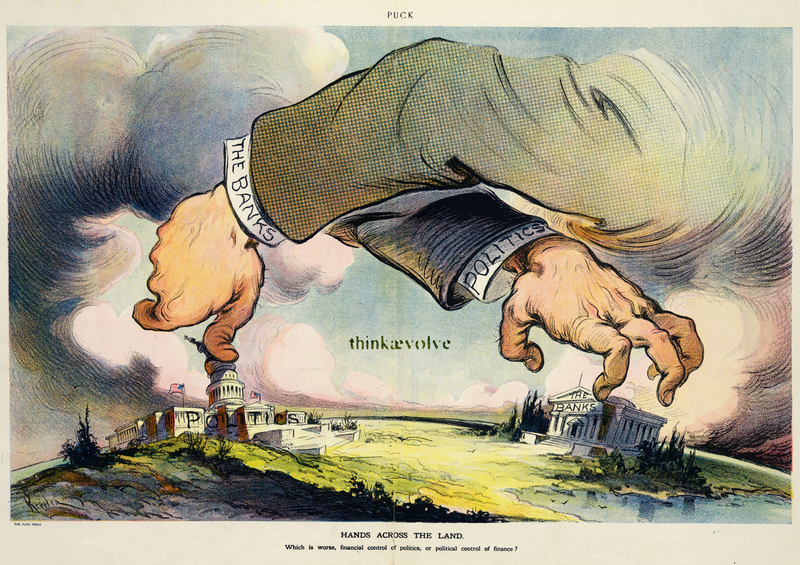 Summary: Illustration shows two arms emerging from the clouds and reaching across the landscape in opposite directions, on the right is the hand of the arm that extends from the left, it is labeled “Politics” and is about to grab hold of a building labeled “The Banks”, and on the left, is the hand of the arm that extends from the right, it is labeled “The Banks” and is using its thumb to squash the U.S. Capitol labeled “Politics”. 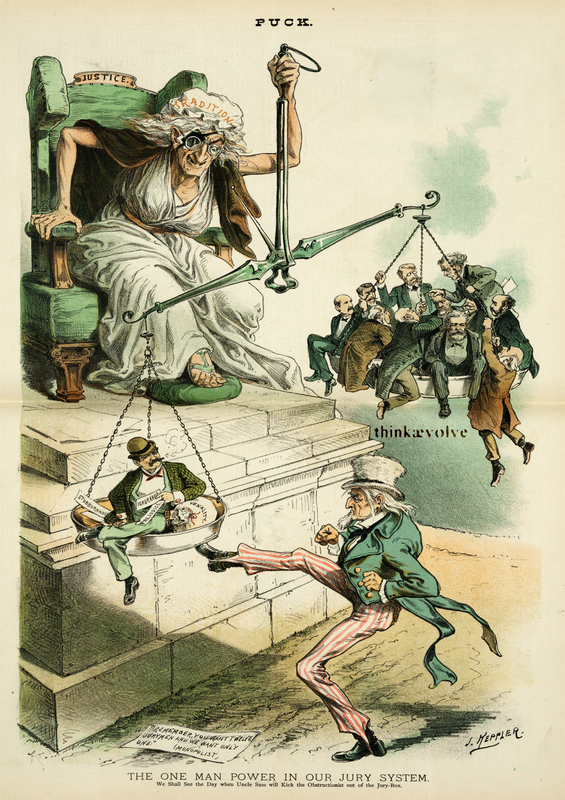 Caption: Which is worse, financial control of politics, or political control of finance? 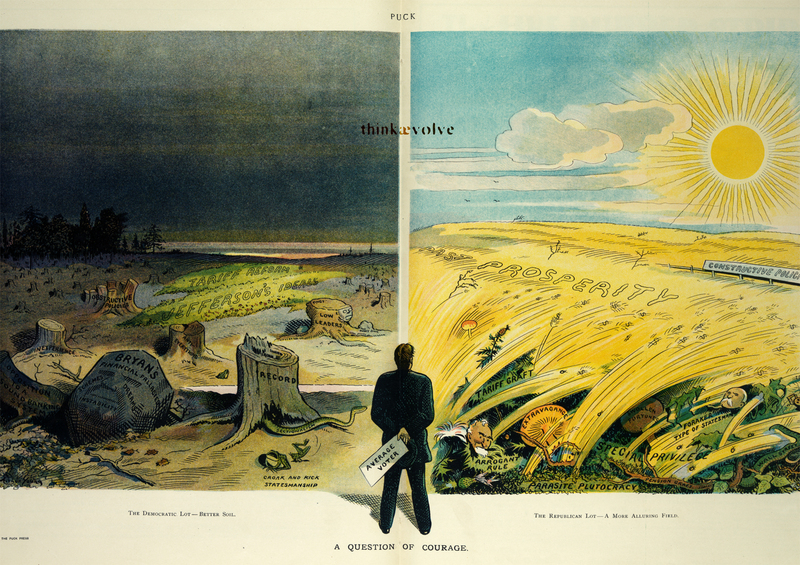 Summary: Illustration shows a man labeled “Average voter” standing between two fields, trying to decide which one he should choose; on the left is the “Democratic Lot” showing “Bryan’s Financial Fallacies, Schemes, Dreams, [and] Instability”, “Opposition to a Sound Banking System”, “Inexperience”, “Obstructive Policies”, “Tariff Reform”, “Jefferson’s Ideals”, “Low Leaders [Thomas] Taggart, Fingy [William J. Connors], Hinky Dink [Michael Kenna]”, Anti-Everything”, “Sectionalism”, and “Croak and Kick Statesmanship”. On the right is the “Republican Lot” showing “Past Prosperity” and “Constructive Policies” among “Arrogant Rule [Joseph Cannon], Extravagance, Tariff Graft, Parasite Plutocracy, Special Privilege, Swollen Fortunes, Pension Graft, Foraker Type of Statesman, [and as a snake] Wall Street”. Caption: The Democratic lot – Better soil / The Republican lot – a more alluring field.